WWE’s first pay-per-view event of the new year, Royal Rumble, is always a big event as it will kick off the road to WrestleMania. This year is no different but will be on a much bigger stage as the company is holding it on Sunday, January 27, 2019 in Phoenix, Arizona at Chase Field on the WWE Network. With such a stadium, there might be some different production things that the company will need to figure out and could lead to some changes. Perhaps WWE stars coming out for their entrances through the dugouts? 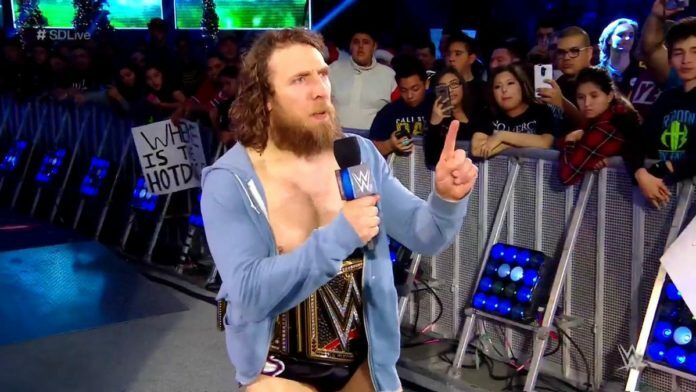 WWE Champion Daniel Bryan seems to think so. ABC 15 in Arizona released a video where they spoke with various WWE stars such as Bryan, Bryan, Bobby Roode, Baron Corbin, and Mojo Rawley in order to promote this show. Bryan is slated to make his next title defense against AJ Styles at the Royal Rumble pay-per-view event.